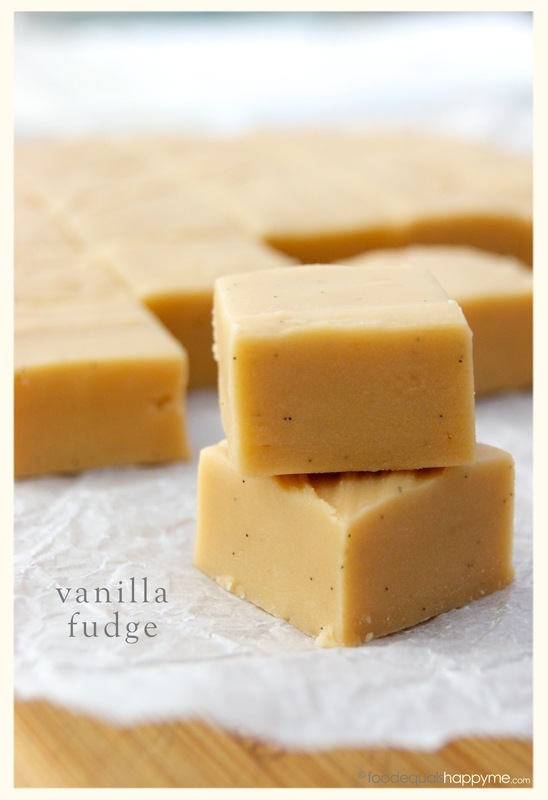 When you’re craving a sweet hit in the afternoon, Vanilla Fudge sure hits the spot. Sweet, creamy, and smooth, speckled with flecks of vanilla seeds it really is decadence in a bite sized treat. 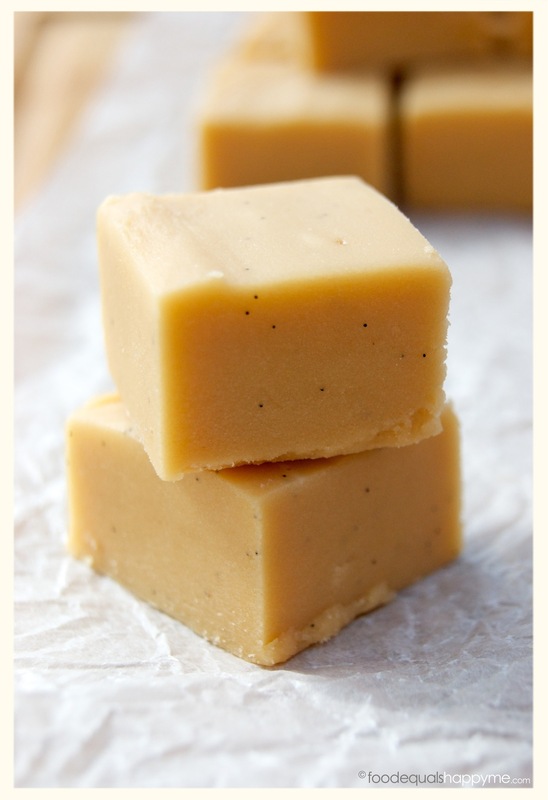 Don’t be put off by cooking with sugar or the need to use a sugar thermometer for this recipe, it sounds tricky but it’s actually pretty simple, just be prepared for a whole lot of stirring and you will be rewarded. Line a 20x20cm cake tin with baking paper and set aside. In a saucepan combine the sugar, cream and butter and cook stirring occasionally until the sugar is dissolved and butter melted. Increase the heat to med-high so that it comes to a steady boil. Using a sugar thermometer, continue boiling until the mixture reaches 116 degrees celcius. Remove from the heat and leave it to sit for 5mins or until it drops down to 110 degrees. 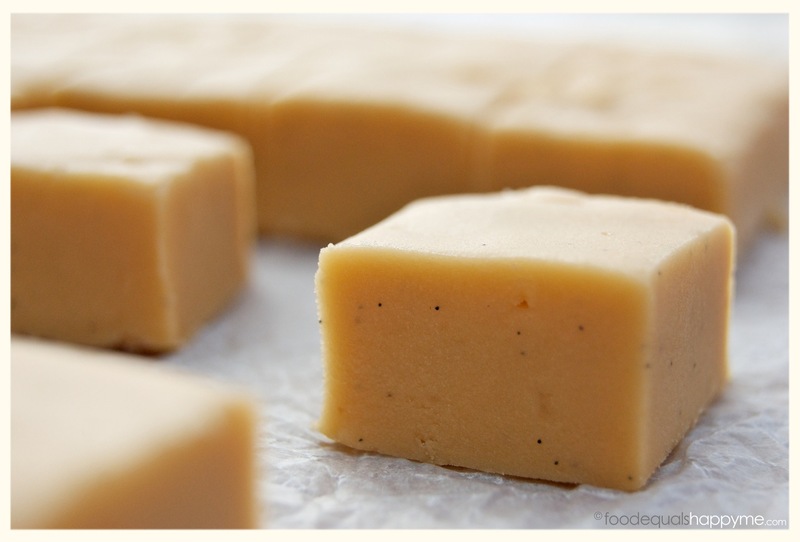 Cut the vanilla bean in half and scrape out the seeds, add to the fudge along with the glucose syrup and salt. Using a wooden spoon beat the mixture continuously until it cools, is thick, and has lost it’s glossy shine. Pour into the prepared tin and smooth the top quickly. 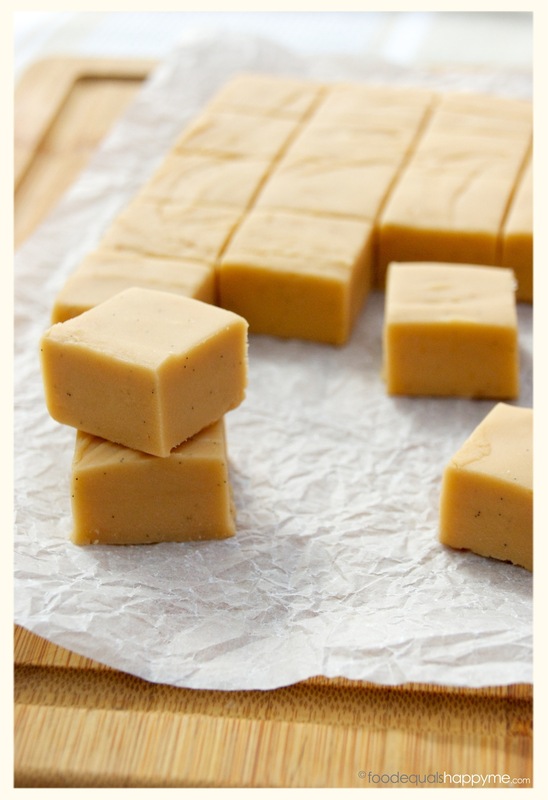 Leave it to set overnight at room temperature (do not put it in the fridge). 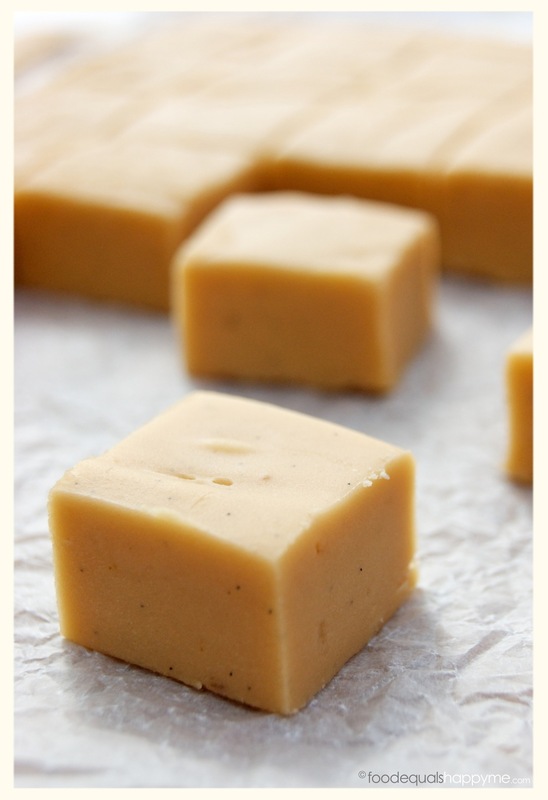 Once set, remove from the tin and cut it into squares. 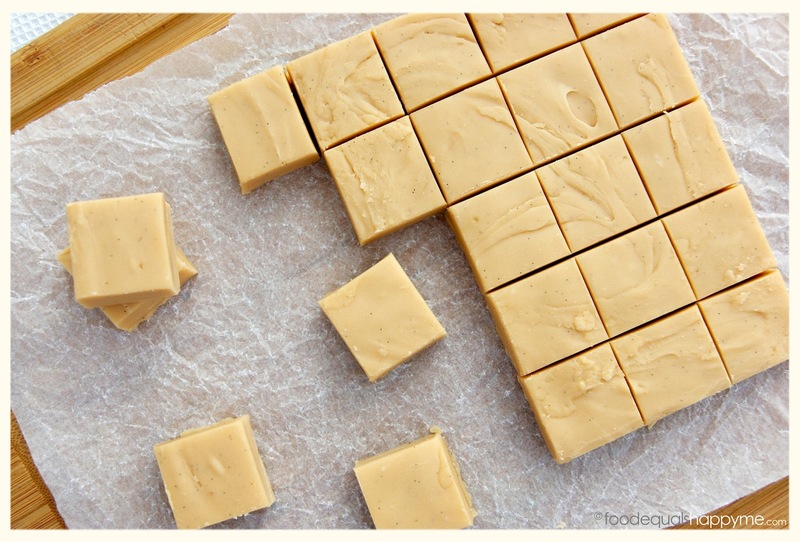 Fudge is very rich so I tend to cut it into smaller squares, getting 36 pieces from this recipe. 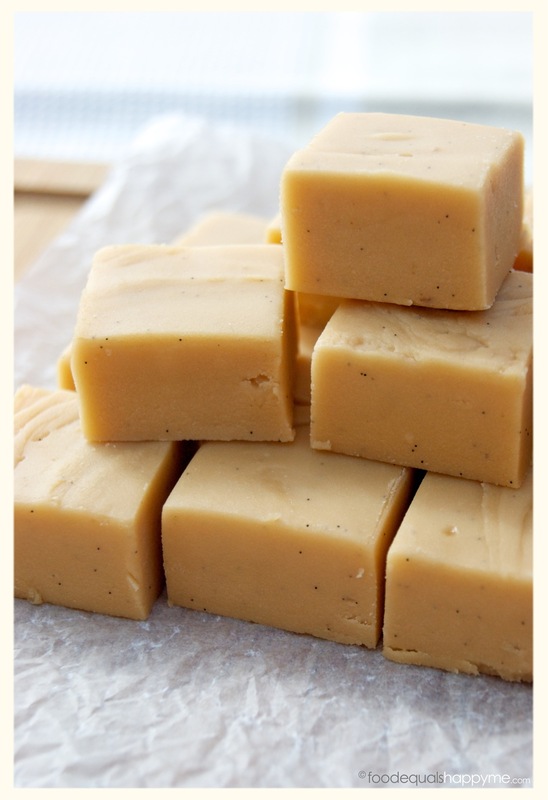 The fudge will keep in an airtight container for 1-2 months.